The photograph of the Sports Day in Handcross shows one of the events taking place in the so-called Red Lion Field. 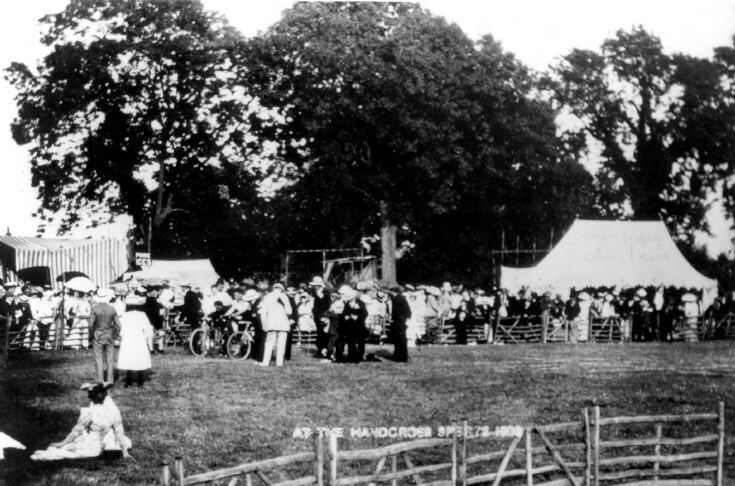 I can spot at least four cycles on the track and can assume it is the Scratch Novelty Bicycle Race, an event which appeared in the official programme of the 1914 Sports Day. Rather unnervingly, I notice that the man in all-white clothing seems to be carrying a rifle or shotgun under his arm. I would have thought a blank starter pistol would be more appropriate!